THE TALK celebrates Sheryl Underwood’s birthday with surprise giveaways during a game called “There’s Something Big Under Sheryl’s Wig,” Friday, October 26, 2012 on the CBS Television Network. 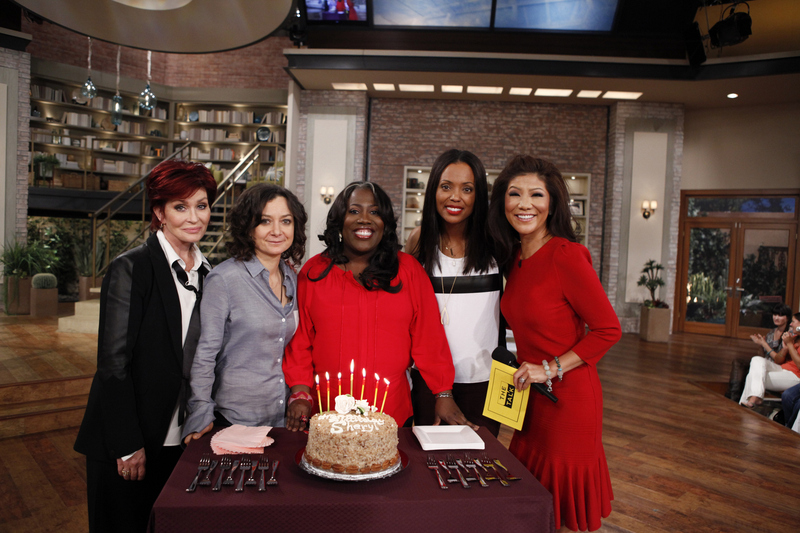 Sharon Osbourne, from left, Sara Gilbert, Sheryl Underwood, Aisha Tyler and Julie Chen, shown. Photo: Lisette M. Azar/CBS ©2012 CBS Broadcasting, Inc. All Rights Reserved.